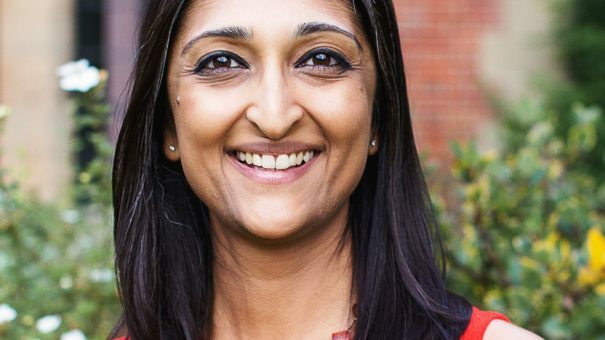 Patient advocate Trishna Bharadia has been recognised by the prime minister for her work raising awareness about living with multiple sclerosis and other chronic conditions. Bharadia is the latest recipient of the Points of Light award, which recognises outstanding volunteers who are making a change in their community and inspiring others. She is the 974th winner of the Points of Light award in the UK, which has been developed in partnership with the Points of Light programme in the US. Each day, the prime minister selects someone in the country to receive the award to celebrate their remarkable achievements. After being diagnosed with MS in 2008 at the age of 28, Bharadia decided to help others in a similar situation. Despite her full-time job as a translator, Bharadia spends many hours each week working with MS stakeholders to bring about change. Her work includes blogging, vlogging, writing for various publications, and being a media spokesperson on healthcare issues, speaking at events and conferences, and co-creating services and information. This includes working as an ambassador for MS Society UK and ADD International, being a patron for ParaDance UK and the Cambridge MS Therapy Centre, and sitting on a committee for the support group Asian MS.
Bharadia appeared on the BBC’s People’s Strictly for Comic Relief, leading talks and advising on research studies and projects, and educating healthcare professionals about living with MS. In March’s eyeforpharma conference in Barcelona, Bharadia won the Patient Advocate award for her tireless campaigning to raise awareness about MS.